We had a very early start, leaving the boat by 4.20am, for the long coach drive to Abu Simbel. We arrived at Abu Simbel at about 7.30am, having eaten breakfast on the coach en route. The desert differed along the route, sometimes sand, sometimes rocky, sometimes hilly. Nearer Abu Simbel we saw some new habitation areas where an attempt is being made to reclaim the desert for agriculture. The two temples and tombs at Abu Simbel were cut into a rocky hill by Pharaoh Rameses II. The hill was originally lower down, but the rising flood waters of Lake Nasser meant the temples would be drowned. An international effort was mounted to move the temples to higher ground. Photography is not allowed inside the tomb so I cannot show you the amazing carved and painted decorations. 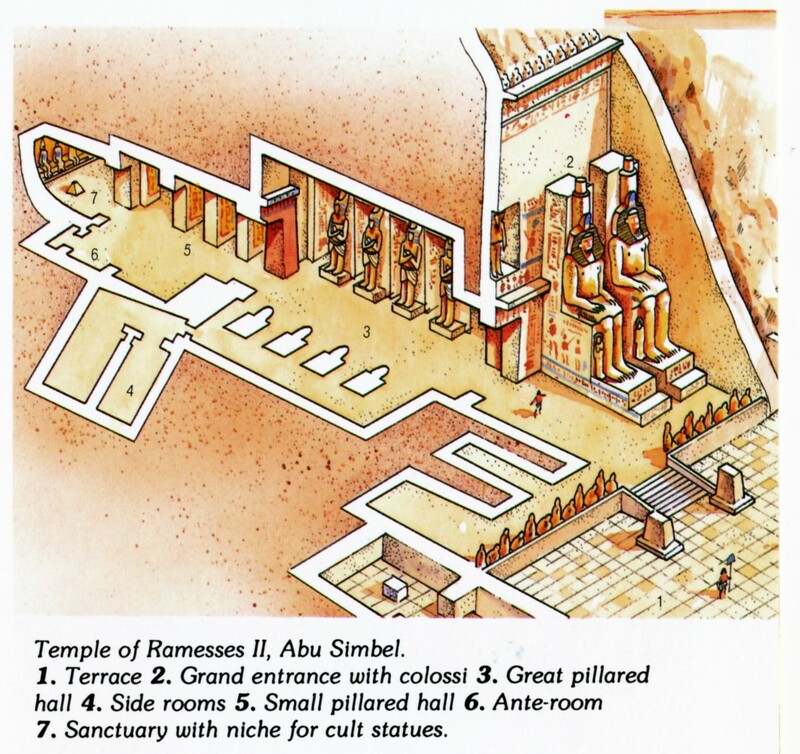 The 4 colossi are of Rameses II. Plan of tomb, Front entrance with massive statues, decoration on entrance, smaller statues next to colossi (sons & daughters), line of falcon statues. Just a few metres along the cliff is the temple/tomb for his queen, Nefertari. Entrance, decoration, both temple fronts. After returning by coach to the boat at Aswan and lunch on board, we went by motorboat (it was too windy for a trip on a felucca) to Lord Kitchener's Island to visit the Aswan Botanical Garden. Various views in the Botanical garden.